Excellent teachers make excellent schools. That’s why we are relentless about hiring top educators who can provide high-quality instruction AND build authentic, loving relationships with students. We pride ourselves on helping teachers maximize their potential, providing them with 250+ hours of professional development each year and opportunities to advance at their campus and across the Mastery network. We are committed to hiring a diverse staff to create warm, joyful, student-centered and welcoming schools. One of our core values is joy and humor. We believe schools can be both challenging and fun! We have weekly school activities to build community and celebrate our students’ accomplishments. Help students learn the academic and personal skills they need to pursue their dreams. Survey data from current staff led us to be ranked one of Philly.com’s top workplaces for eight years in a row. Teachers receive more than 250 hours of professional development every year. Whether you’re new to the classroom or an experienced teacher, you’ll have access to coaching, planning meetings, curriculum assistance and support from comprehensive school-based leadership and central office staff. You’ll never have to do it all alone. Our teacher coaching model is nationally recognized. It’s driven by concrete, manageable goals; frequent, aligned feedback; modeling and practice. Our Apprentice School Leader program provides interested teachers in-depth management, communication and problem-solving training, AND a path to a leadership position at a Mastery school. We pay well, and you can make a lot more with performance-based pay. We reward you for your success. We cover 85-95% of the cost of health insurance for you and your whole family. We contribute a 5% match to your retirement fund. Love And Outcomes: Students thrive when rich experiences and measurable outcomes are highly valued. Our schools foster joy, wonder, independence and urgency, structure and accountability. Our lessons are authentic and engaging and drive toward clear, rigorous goals. Our programs build the personal and academic skills essential to students’ success. High Expectations, High Support: Our students are brilliant. We hold students to unwaveringly high expectations. 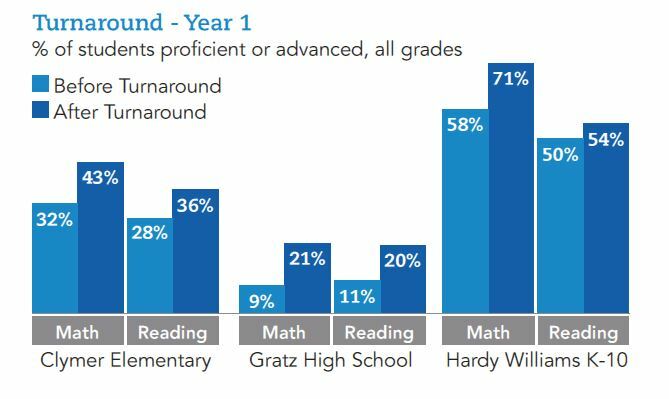 We know students enter at varying levels and therefore we provide multiple pathways and responsive supports to ensure students have opportunities to catch up, accelerate and advance. Cultural Context: Our students’ cultures and identities are a source of strength and opportunity. We know culture, race, and identity strongly influence how we teach, how students learn and how the school community interacts. We intentionally develop our staff’s cultural competence to enable authentic student-staff relationships that support achievement. We intentionally develop our students’ positive identity and prepare them with the skills they need to navigate the real world. Families Are Our Partners: Families are our students’ first and most important teachers. We engage families as authentic partners in their children’s academic achievement and development. Data Driven: Data drives decisions about instruction, programming, and the ongoing improvement of our organization. A Common Foundation: We leverage common approaches to instruction, management, and professional development that ensure alignment, efficiency and quality. Our leaders and teachers take responsibility for their students’ success and are empowered to act. They build on our shared foundation to meet the specific needs of their school communities. We believe educational inequity is the most pressing social problem facing our country and the civil rights issue of our day. Mastery exists to solve the problem. Our ultimate goal is to create a model urban school district that serves all students with excellence. 17 of our 24 schools are turnarounds of previously failing district or charter schools. 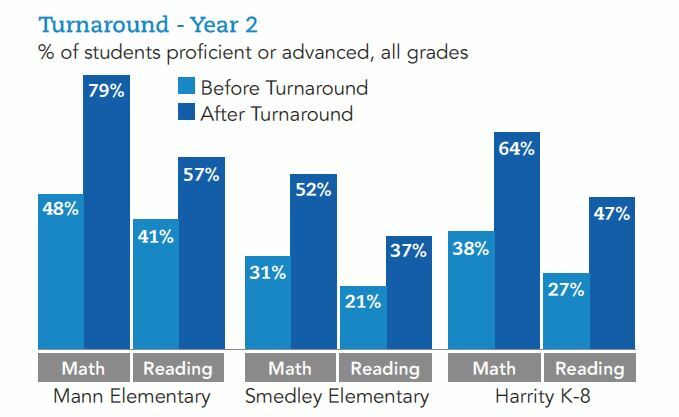 As a result, Mastery serves an unusually high percentage of special education and low-income students. To address the needs of all of our students and deliver academic excellence at scale, we developed an operational model with six interlocking management systems: Click here for more details about our model. Thrive as a leader. Impact students' lives. A path to become a great teacher.